Every aspect of the 2013 release The Counselor (minus the philosophically damned script), tells you that this is a Ridley Scott film. If you enjoy the way he carefully directs by bringing scenes to a slow creep and then having things interrupted with an act or two of brutal violence, then this will satisfy you, the fan of said director. 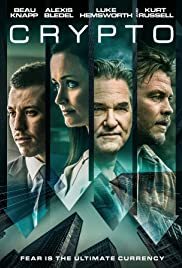 I have to say that initially I had become bored with the first 30 minutes or so of this slick, trashy (might as well throw in stylized) sort of 2 hour resembling of a cable TV drama (rated for mature audiences of course). It started off as pretentious and self indulgent. You have actors constantly engaging in conversations with each other that go on longer than needed. And the dialogue is all about the meaning of life and such. Therefore, I kept thinking to myself, why does everyone in this vehicle have to be so smart? Although the performances were substantial (with the exception of the continuously miscast Cameron Diaz), it seemed as though the script required almost all the cast members to be Socrates (the supposed founder of Western philosophy). Brought to life by rookie screenwriter Cormac McCarthy (his novices shows in his screenwriting even though he's a well accomplished novelist) and dedicated to Ridley Scott's brother (famed director Tony Scott) who committed suicide during filming, The Counselor examines a lawyer who on the side, gets involved in drug dealings with the Mexican cartel. Hoping to get a huge return back and taking different angles of advice from a drug kingpin named Reiner (played with a goofy stature and an even goofier haircut, by Javier Bardem), "Counselor" (he has no name, this is what everybody calls him) eventually gets in way over his head. He is warned by a middleman named Westray (played by Scott veteran Brad Pitt) that such a deal might be the wrong path to be taken. Furthermore, it doesn't help that he puts his I guess, pregnant wife (Laura played by Penelope Cruz) in harm's way throughout. Let me put it this way, I found myself more embroiled with The Counselor's fate as every other character begin to die off. I read a separate review that said this motion picture was sort of a dark neo-noir. By definition, neo-noir films deal with social ramifications so I guess that critic pretty much got it right. Anyway, if you can get past the gnawing characteristic of the aforementioned tainted screenplay, then you'll find that this movie barrels along by becoming more intriguing and to a fault, more involving. You realize that Scott knows that there is a problem with the script (he didn't write it), but he decides to be in complete control of the camera anyway. He directs with confidence and funnels little nuggets here in there from his other movies, plastering them into this one. His cast is vast and diligent (a couple of cameos by some notable screen talents). He films sequences either from a long distance away or close up with two actors trading words in a small, claustrophobic space. Last but certainly not least, he puts a relatively unknown yet well seasoned Michael Fassbender in the lead role. Known in this flick as simply "The Counselor," he is able to carry the whole 2 hour running time quite well. He's in almost every frame (Fassbender looks a little like a young Jeremy Irons and has Ewan McGregor's manneristic smirk) and goes toe to toe with some big name actors (Brad Pitt anyone) that seem to fade in and out of the proceedings. In the end, you don't quite know what the future has in store for him. But you get a sense that his character is the type of person who falls prey to the notion of bad things happening to not so bad people. All and all, The Counselor as a movie, likes to leave little tracings of symbolism here and there (especially in the opening scene). Its intentions are to let you know that it has deeper interludes that extend far beyond the simple art of a drug deal. Yes, there are little flaws that are evident (some of the dialogue is borderline laughable and cringe worthy) but in the end, it still comes off as weirdly sophisticated. It's for the moviegoer who can hold his or her attention span and not harbor to all the disposable drivel that's thrown in year after year (stuff like remakes of classics which I've been ripping on since March). To be honest, I don't know if I would put this thing on my top ten list of 2013. However, it resonates with you minutes after you see it. And that's something I look for when I want to garner a recommendation. It also has the type of ending shot that I like where the camera focuses on a main character's face, and then goes suddenly to blackout (without any type of fading). With The Counselor, you get a mostly trademark Ridley Scott film and heck, usually he's incapable of making anything mediocre. Halfway into the second act when things get dangerous, Brad Ptit's character states, "I'd say it's pretty bad, then muliply it by ten." Yeah, I'd say this flick is not so bad so I'll just add three stars. Thank you for your comment. I really found it hard to sit through the first 20-30 minutes. I felt like the film was going nowhere and I don't like Cameron Diaz as an actress. But the plot sort of kicks in and I started to mysteriously dig the movie. It has the look and pacing of Ridley Scott's earlier work (without the script of course). A weak 3 star rating for me but I'll go ahead and recommend it.